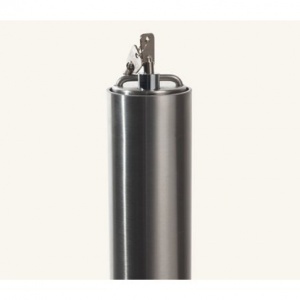 Marshalls Rhino RT RD4 SS stainless steel round domestic telescopic driveway post with a 500mm height above ground and features a 76mm diameter. 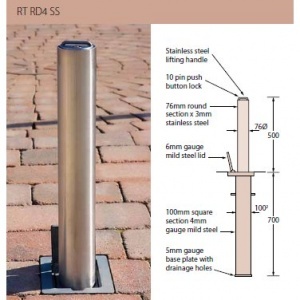 Contemporary product to enhance whilst providing security, the Rhino RT/RD4/SS telescopic bollard offers a secure solution in situations where vehicle access is required and where security is the issue. 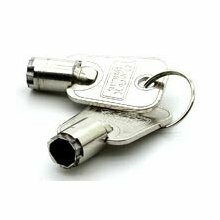 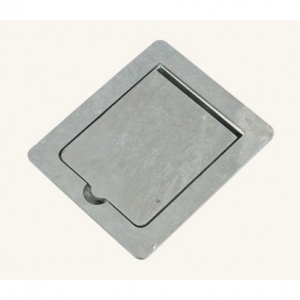 Manufactured from selected marine grade 316L (1.4401) stainless steel it gives a contemporary stylish look whilst also providing security and access control. 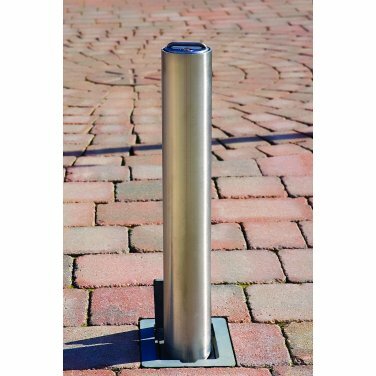 The bollard can be locked in either the up or down position, when down a lid covers the void to give a perfect finish. 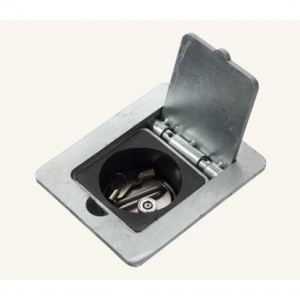 The bollard comes with a high security anti tamper lock and 2 keys. 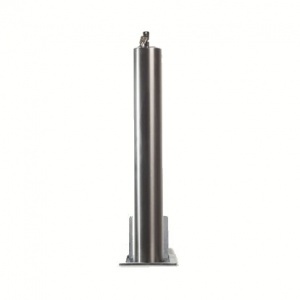 Comprehensively guaranteed for 12 months, delivered free and perfect in any setting where access needs to be controlled, the Rhino RT RD4 stainless steel telescopic bollard stands up to close examination.